It’s never been harder to install Linux. Don’t believe me? Just cast your mind back 10 years. Back then, it was just a matter of downloading an ISO, burning it to disk, pressing “next” a few times, and hoping you weren’t unlucky enough to have a Broadcom WiFi card. And if you didn’t fancy burning your own install disk, Canonical would send you one – for free. It was a wonderful time. Now, it’s less wonderful. 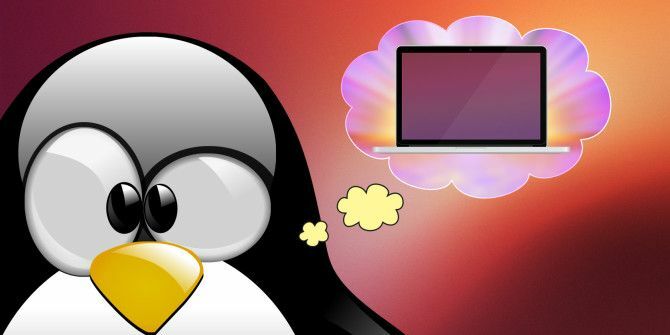 Would-be Linux users have to contend with utterly awful hardware support, UEFI woes, and equipment designed to work with Windows, and Windows alone. If you want to break away from the yoke of Microsoft, you have to be a savvy hardware shopper. Here’s how to find the perfect Linux laptop. Last year, I met GNU project founder Richard Stallman in a Liverpool cafe for an upcoming MakeUseOf feature. We sat, ate pastries, and talked about the usual suspects – software freedom, and the NSA. Funny thing about Stallman; you’d expect someone whose life is so closely based around technology to have an expensive, hyper-powerful behemoth of a computer. The type of computer toted by NSA analysts and defense contractors, capable of processing quadrillions of calculations per second. But no. Stallman uses a refurbished IBM ThinkPad. These computers have been – for over 20 years – the business laptop of choice. They’re robust. They hold their value like a Macbook. They’re easy to service and to repair, and they can take a beating. It is for this reason why their popularity has endured, despite the sale of IBM’s laptops devision to Lenovo, and the startling incompetence (SuperFish, anyone? Lenovo Laptop Owners Beware: Your Device May Have Preinstalled Malware Lenovo Laptop Owners Beware: Your Device May Have Preinstalled Malware Chinese computer manufacturer Lenovo has admitted that laptops shipped to stores and consumers in late 2014 had malware preinstalled. Read More ) that followed. It’s even possible (and surprisingly simple) to replace the low-level, proprietary BIOS Discover Your BIOS & Learn How to Make the Most of It Discover Your BIOS & Learn How to Make the Most of It What the heck is the BIOS, anyway? Is it really that important to know? We think so and fortunately it's pretty easy. Let us introduce you. Read More with one that’s entirely free, open-source software. If you’re balking at the idea of using an old, second-hand computer, let me ask you something. What do you use your computer for? You’re a Linux user so (in most cases) gaming and video editing are things you’re likely not terribly concerned with (although if you are it is simple to install Steam on Linux How to Install Steam and Start Gaming on Linux How to Install Steam and Start Gaming on Linux Installing Steam on Linux computers is straightforward, and the result is usually the same seamless gaming experience you had on Windows. Read More and start downloading compatible games). No, chances are high you’re going to use your computer to code, browse the Internet, and use productivity apps. So then I ask you, why do you need to drop hundreds – if not thousands – of dollars on a brand new machine? These ThinkPad’s are cheap, solid, and do the job. If you’re based in the UK, you should consider getting a refurbished IBM ThinkPad x200 from GluGlug. For just short of £300, you get a machine that can comfortably handle any Linux distribution you could care to throw at it. Including the perennially popular Ubuntu. Libreboot offers several advantages over proprietary BIOS/UEFI firmware; faster boot speeds, better security and customization to name a few. You can install GNU/Linux with full disk encryption (including the /boot/ directory), verify GPG signatures on your kernel at boot time, run a full operating system from the flash chip (coming soon! ), and more. Failing that, ThinkPads can be found on Amazon and eBay at rock-bottom prices. I’ve found perfectly adequate ThinkPad T61s online for as little as $50. Of course, your milage will vary, and remember you’re buying a second-hand, old computer. You might need to lower your expectations accordingly. I’ve already made a jibe about gaming on Linux Linux Gaming, an Overview: What You Can And Can't Expect Linux Gaming, an Overview: What You Can And Can't Expect While desktop Linux may be a tempting platform, there's one thing stopping a lot of people from making the plunge: PC gaming. Like it or not, Windows is the de facto platform for PC gaming.... Read More . Now I’m telling you to get a Mac. It’s almost like I’m trying to provoke the trolls. But I’m not. In 2006, Apple ditched its IBM PowerPC processors for ones made by semiconductor titan Intel. The writing had been on the wall for a long time – PowerPC was dead. They simply couldn’t compete with Intel’s fangled dual-core CPUs, which were simultaneously faster and more power efficient. PowerPC had to go. For Mac users, this meant significantly more powerful computers. It also came with the enticing proposition of running Windows on Apple’s hardware. Eager to penetrate the business market, Apple released BootCamp, which allowed Mac users to dual-boot their systems, and issued Windows drivers for their hardware. But Linux got no such love. However, some enterprising hackers were able to shoe-horn Linux onto the new, x86 Macs. At first, the implementations were shaky, and missing a lot of features. But nine years later, they’ve became more refined, and easier to install. Now, installing Linux on a MacBook Pro isn’t so much a challenge, but rather a viable option that can be accomplished by the most moderately competent Linux user. Yes, Apple hardware is extremely expensive for what it is. Especially when you directly compare it to machines pumped-out en-masse by the likes of Dell and Lenovo. But that’s not a fair comparison. Apple’s hardware is – yes, I know how controversial this statement is – simply better. It looks better. It’s built better. Their computers can withstand more of a beating, and last longer than their PC equivalents. Don’t believe me? Just go sit in a metropolitan coffee shop for a while. Count how many people show up with aged MacBook Pros and white MacBooks. Then compare it to how many people show up with PCs from 2007, or thereabouts. It’s for this reason why people choose Apple computers as their Linux hardware of choice. So, how do you pick the right hardware for you? Fellow MakeUseOf writer Mihir Patkar recently wrote a compelling endorsement of the Macbook Air Want A Great Value Laptop? Buy A MacBook Air Want A Great Value Laptop? Buy A MacBook Air Unlike many of Apple's other products, the MacBook Air is different. It's actually better value for money than any Windows laptop at that price. Read More that’s worth reading. Other MakeUseOf writer Danny Steiben is already running Ubuntu on his Macbook Pro Retina How To Install Linux On A MacBook Pro Retina How To Install Linux On A MacBook Pro Retina MacBook Pros come with some very nice hardware, but some people want more. Some people want Linux. Read More . But really, most Apple laptops should do, and much like the ThinkPads of yesteryear, it’s worth investigating whether a second-hand MacBook Buying a Refurbished Mac? Here’s What You Need to Know Buying a Refurbished Mac? Here’s What You Need to Know No one wants to lay down a wad of cash for a dinged-up, battered second-hand computer - here’s what you need to know on your search for a pristine, but affordable, refurb. Read More will fulfill your requirements. The only Apple laptop that should be avoided at this time is the latest, fashionista-focussed Macbook. This looks the part, but the drivers aren’t there, particularly for the new (and atrocious to use) butterfly keyboard, and for the force trackpad. Perhaps in a few month’s time. Dell can’t seem to make their mind up about Linux. At times they’ve embraced it with open arms, and at times they’ve turned their backs on it. 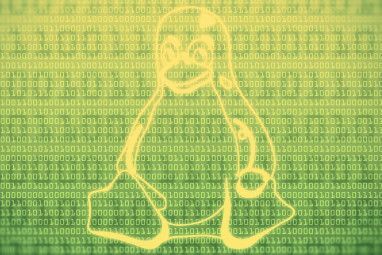 Their tumultuous history with Linux starts in 1998, when one-time Green Party presidential candidate Ralph Nader asked Dell (and a number of other major hardware manufacturers) to offer Linux as an alternative to Windows. At the time, lawmakers were concerned Microsoft was developing a monopoly in the operating-system sphere. Dell became the first PC manufacturer to offer Linux as an alternative on its entire range of computers. But its flirtation with the fledgling open source operating system was short lived, and by 2001 they’d quietly stopped selling penguin-powered PCs. Fast forward to 2007, when Dell CEO Michael Dell announced that it would start selling machines with Ubuntu pre-installed. Geeks loved it. People who accidentally bought laptops sans-Windows were less enthused, however. Initially, Dell sold a broad range of machines with Ubuntu pre-installed, at a variety of price points. But that number dwindled to the point where today Dell only sells two Linux laptops, with both being expensive, high-end machines. Two models are available: The Dell XPS 13″ Developer Edition, and the Dell Precision M3800 Developer Edition. Both come with a Dell-tailored spin on Ubuntu 14:04 LTS, with all the drivers, tools and utilities required for it to work smoothly. Both come with oodles of RAM, and sufficiently beefy processors. As you’d expect, both are aimed at developers. The Dell XPS 13″ Developer Edition is your bog-standard, high-end ultrabook. Simultaneously svelte and well-built, it boasts impressive specifications and the customizability one expects from a Dell. Those with deep-enough pockets can add 4k touch screens and zippy Core i7 CPUs. But that comes with a price though. The most tricked-out XPS 13 costs $1,849. The cheapest model is still quite expensive, costing $799. The M3800 Mobile Workstation is similarly impressive, and similarly expensive. The cheapest model costs $1,533.50, and comes with an Intel Core i7 4712HQ CPU as standard, clocked at 2.30GHZ and packing HD 4600 Graphics. Throw in a beefy Quadro K1100M GPU and the optional 4K touchscreen ($99 extra), and you’ve got one impressive computer. But as you will have noticed, this isn’t the cheapest option. What happens if you can’t afford a Dell, don’t fancy a Mac, and want a new computer? If you’re hoping to use Ubuntu exclusively, have a look at Canonical’s list of Ubuntu certified hardware. These are computers guaranteed to work with Ubuntu out of the box. If a particular computer has caught your eye, consider googling its name along with the distro you want to install. This is a pretty good way to gauge hardware support. Finally, if you’re still stumped, consider getting a Chromebook and installing Ubuntu via Crouton How to Install Linux on a Chromebook How to Install Linux on a Chromebook Do you need Skype on your Chromebook? Do you miss not having access to games through Steam? Are you pining to use VLC Media Player? Then start using Linux on your Chromebook. Read More . 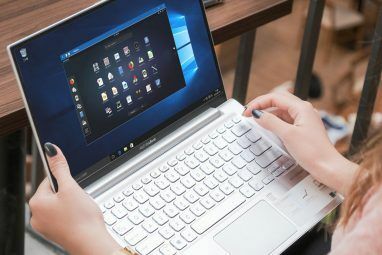 Most Chromebooks can be had for less than $400 – save the ultra-high end Pixel – and are able to run the world’s favorite distro in a chrooted environment. 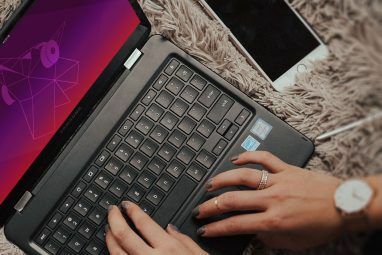 Have you found the perfect laptop for Linux? Do you find one particular manufacturer works well with Linux? I want to hear about it. Drop me a comment, and we’ll chat. Explore more about: Linux, Open Source, Ubuntu. I have fallen over your post several times in the last year now. How about writing an update? How is the situation in early 2018? - old thinkpads are harder to get an their performance makes it impossible to watch a HD clip, no USB 3 support, HD size limitation a.s.o. - more and more hardware is incompatible. I have installed LinuxMint on a recent Acer laptop and obvious things like USB ports and the ethernet stopped working, let's not even, not to mention the eternal fun brake: an NVIDIA graphic card. - windows 10 is bloated, slow, it lost ergonomics, is even less costumizable, became kind of a publicity pipe for Microsoft and of course is spying on the user, maybe even more than android. What would you suggest today? I've always found Dell's to be pretty Linux friendly. Apart from my main rig (a 2004 pre-HP Compaq Presario desktop.....a PROPER Compaq, in other words! ), I run a 2002/3 Dell Inspiron 1100 laptop. P4-based, with a gig of RAM. It ran like a snail with the original XP installed, up till 3 years ago. Then I put Puppy Linux on it.....and haven't looked back since. Goes like greased lightning (a pretty neat trick for a P4, which were never that fast even in their heyday)..! And on the 'big' Compaq (Athlon64 X2-based), I do a lot of the software re-packaging I provide for the Puppy community. Puppy's put both machines 'back in the game'. I'm no 'green warrior', but I can't see the sense in putting still perfectly-serviceable machines in the landfill, simply to line the pockets of a few large, greedy corporations. I've bought a new Dell XPS 13 (2016 Edition, the i5 version without touch display) about a year ago, started first with Ubuntu, but changed in summer to Manjaro, both distros worked very well, although, at least with Ubuntu, i had problems first with the broadcom wireless card (i think this was fixed with Kernel 4.4). I'm using the laptop mostly for coding (C, python, sometimes java), browsing the internet (mostly video streaming and reddit) and mailing. I know, it may be overpowered for my needs, but anyway, i've got a small, handy and good-looking laptop which simply does what i want it to do. It eases up my life a lot, because of linux reasons. yeah. this is probably only an advertisement for the laptop and linux, but anyway, i could only recommend this setup to anyone of you! Having implemented Linux in a commercial IT environment 16 years ago, it's been my main home system ever since. Over the last few years I've been using older HPs, typically until the hardware fails. In the last few days I've loaded Mint 18 on a three year old Toshiba, which had a massively corrupt Windows system and no value in getting it sorted. I have more to do than fix OSs so my requirement is to load and go. Mint Linux delivers that very well, even down to quick fixes for the Broadcomm WiFi compatibility on the HPs. Typical installation time is around an hour with 30 minutes or so for my tools: Darktable, XnView, NixNote, Dropbox. Most recent "trick" was loading Mint 17 on 10 year old 512MB HP, just to be used to run a browser on a TV. Worked like a charm! I'm running Debian Jessie on the original Core Duo white Macbook, with a base install of XFCE desktop as my shell, and it's a beautiful thing. The last Mac OS that this notebook will run is 10.6 Snow Leopard, and it's kind of a dog even when maxed out with RAM and a SSD drive. I did my research and customized this machine to be slim, resource-light, and fast, and it's all of these things. My total cost? Less than $100, and I have an up-to-date OS running on a 10-year-old notebook. - Libren: I'm considering them for my next Ubuntu laptop. They have a model that looks like an Apple but with Ubuntu pre-installed. That's pretty much what I've been looking for. - There a a couple other laptop manufacturers specializing on linux coming online, hopefully we will have more options in the near future! I did lots of research before buying my Ubuntu laptop, after I gave up on Windows thanks to the pre-installed spyware features, but another story. Point is, I came to pretty much the same conclusions present in this article. Macbooks are best option if you have the money and know how to install. I had the money (it's a laptop for work) but wasn't sure Ubuntu would work flawlessly in a Macbook Pro. So I ended up opting for a Dell because of their alleged friendliness with Ubuntu. But while I didn't want the bulky M3800 I also didn't want the tiny screen of the XPS 13''. I decided for the latest Dell XPS 15'' (model 9550), released recently it had Intel 6 CPU that are quadcore (essential if you want a workstation in my opinion). I got it and installed Ubuntu 14 the same day. Most things worked out of the box, but the wifi was and still is just so so. I gives me full bars while on Windows but only 2 signal bars while on Ubuntu. That's rather annoying if you ask me... I tried installing other drivers but couldn't fix this issue, I'm still stuck with it. Later on I upgraded to Ubuntu 16, but not much seemed to change. Wifi still so so. I also got a dock station for it, the support in Ubuntu for it has gotten better. But I also updated its firmware several times so that could have helped too. Recently though I regretted having gone with Dell. The speaker on my brand new and very well taken care of XPS 15 has started doing a terrible sounds as if it was broken. At first I suspected it was a driver issue so I booted in Windows and it made the exact same sounds, so yeah I know it's broken now. The laptop is still under warranty, but under Dell's sucky warranty I'm not allowed to install another operating system. So I'm now stuck with an almost 3,000 USD laptop that can't play sounds. If I want to fix it, I have to take a 3rd party which will open and completely void the warranty. Or I have to remove Ubuntu somehow and lie to Dell that I haven't ever installed another OS in case they ask. I just hate both options. I wish I hadn't spent so much money with Dell. Next time thanks to this article my opinions on which laptop to buy for Ubuntu has been solidified. So I may go with a 2nd hand Macbook next time. Save the money, save the headaches, specially I don't want have to deal with Dell warranties never again in my life, they are restrictive and treat customers poorly. What dock did you use? I'm considering opting for a Dell XPS (13"), but read found a lot of issues with their docks online, especially (but not only) on Linux. I bought the dock Dell TB15, it's working well enough, the only thing is I have to plug it into the laptop after it finished booting and is showing the log in screen or afterwards. If I plug in before the USB won't work for example. I have one of these docks in my house and wanted to install another one on my office but for my surprise when I tried to buy the 2nd one Dell had stopped selling them, discontinued. Probably due to the before mentioned issues, that exist on Windows as well. But the thing is, despite these issues I believe this still is to date the best dock for our XPS 15, 13 etc. Because it recharges fast, offer ethernet, connects to a big monitor, adds extra USB ports etc all at the convenience of plugging a single cable. It doesn't get much better than this. So if you want to get one, you may have to buy from a 3rd party, perhaps on Amazon you may find, no luck on Dell.com. Acer Guys, choose Acer, do yourself a favor. Every Aspire and Travelmate I try worked like a charm out of the box. It's important for you anyway to choose something with an nvidia on board. It's simply much easier. Put in a SSD and you've got a top notch laptop. My favorite one? An Acer Aspire v3-571G with 16Gb ram and Ubuntu 16.04. I know NO serious Linux users who use Macbooks as their "Linux hardware of choice". It's mostly used as a "fun challenge". Linux is STILL fickle as all hell on Apple hardware, because of some seriously limiting factors of your so called "favorite Linux hardware". Not to mention if you do need to dualboot, and update OS X there's no telling what kind of new firmware that mucks up a working Linux installation. Secondly, most laptops today has gotten way better in regards to hardware. Just don't buy cheap like an idiot. I did a search and found a "Off Lease REFURBISHED (Lenovo M82) 3.2GHz i5 8GB 1TB DVD Windows 7 Pro Desktop Computer + 19" LCD" This system happens to be on the list for Ubuntu certified hardware. Can somebody tell me if this computer would be a good fit for Ubuntu 16.04 ? I'm looking for something cheap and reliable for awhile..that will run Linux OS's. Please help. I need a linux laptop. I will use scrivener for writing books (preferably mac version). I am also editing raw photo files. Finally, I want to learn how to code (android, ios, security, robotics). What would be the lowest, middle, and highest spec laptop for me? Thank you. I have had great success with Lenovo ThinkPads. I am currently running Linux Mint 18 on a T520 from 2011 and Linux Mint 17.3 on a T500 from 2009. Both are a tad slow to boot, but once up and running, they're very responsive. I recommend getting a used/refurbished Acer C710 Chromebook and "jailbreaking" it (removing the back cover, inserting tin foil into a small connector on the motherboard, enabling Developer Mode, and typing some commands in the terminal -- not for the faint of heart) to remove ChromeOS and install a Linux distro as the only OS. This is my current setup, a "jailbroken" Acer C710-2856 running Ubuntu 16.04 LTS full-time. I have had my Lenovo E540 dual booting Windows 7 and Ubuntu. No problem. Since I find myself doing all my work (musician) in Linux, I have now installed Ubuntu 16.04 only. Everything working well. Don't believe the Thinkpad advice. That was my thinking, too, having had great success back when they were IBM. So I got one and immediately found that there are no drivers that work with the Radeon R4 that mine has. And if a card that recent has no support, I can't imagine ones even older. One thing I've found repeatedly true when buying hardware for Linux: stick with nVidia. I'm using Razer Blade 14" (2013 edition) and installed Fedora 23. I fixed the problem of closing the lid and put the notebook to sleep. There's some things to improve but it's pretty much usable. Definitely NOT as easy as you make it sound, at least on the Macs. Tried recently to install Linux on a mid-2010 MacBook Pro, and after three solid days never could get the wifi to work (a Broadcom 4322). Tried three different distros and finally had to give it up. Near as I could tell the drivers just wouldn't communicate with the kernel. You read the part where it says that you have to download the driver yourself if you happen to have a Broadcom card, did you? Jesus yes. Like I said, I just couldn't get ANYTHING to work with that particular Broadcom card. Thanks for automatically assuming I'm an idiot though. Have you used the system76 laptops yet? They keep getting suggested around the internet (https://news.ycombinator.com/item?id=11503951, https://www.slant.co/topics/1184/~laptop-for-linux) but I'm not sure I trust the build quality. Well, I can't tell you what to buy, but I can tell you what not to buy: Lenovo. The battery of lenovo laptops with linux last for half (!!) or less of the time they last on windows. So if linux is your choice of OS, skip lenovo. I'm running Linux Mint 17.3 on an Acer Aspire TimelineX 4830TG-6450. I've tried several different Debian-/Ubuntu-based distributions of Linux and, so far, Mint has worked the best. The annoyance with the Nvidia Optimus graphics problems were easily fixed with a little bit of searching on Google and some minor pinching and tweaking. This is my portable "work" machine. I upgraded the hard drive to a 256GB SSD and the RAM to 8GB (the maximum supported), and use it for data analysis work with R and Python. If I could confidently get Libreboot BIOS on here, I'd do that, too. hi Rich, I also want to change my laptop and I use it mainly for data analysis and simulations with R. Where you able to dual boot windows and linux on your computer? I'm sorry, but I did not dual boot my laptop. I completely replaced Windows 7 with Linux. I will say that I do not regret the decision and, other than a few minor issues that took some research in order to resolve, my experience has been outstanding. I'm sorry, but I did not dual boot my laptop. I completely replaced Windows 7 with Linux. I will say that I do not regret the decision and that, other than needing to research for solutions to a few minor issues, I've been quite happy with my laptop's performance. Good article, but no need to over think things. I've been an Linux user for many years - mainly Debian flavours such as Ubuntu and Mint but occasionally more difficult distros like Fedora or Arch. If you have patience and are willing to learn as you go, you can pretty much get anything to run Linux in a stable manner. Try that with broadcom wifi and eithernet. If you can make them play nice on an old Dell inspiron E1405, I would sure like to learn how. Please Email me the solution or advise how on this site. With that Dell or my 3 Dell e1505's. You just go to eBay and purchase new or used Intel wifi cards ( BGN wifi cards) to replace the awful Broadcom cards. Any Intel card you get will likely be less than $6.00 and most come with free shipping. Then all of the Linux/Ubuntu OS's wifi work. Simple fix. I have tried seven or eight distros and all the wifi works. Go to YouTube and type in your make and model and upgrade wifi card, the how to's will step by step show you. I hope this helps. PS I upgraded all of the CPU's in my three Dell's from 1.6 gigs to 2.33 gigs cpu's for around $25.00 apiece and they really fly now, YouTube and eBay, then like new laptops with Linux/Ubuntu. I have ASUS n64jv. Using Ubuntu 15.10 as a second boot system on it already for a year or so. One issue that I met is my bluetooth mouse didn't work out of the box. Installed it from USB-drive without any problem. i am fairly new to linux but out of combination of interest and necessities i think it'd be the best if it becomes my daily driver. However, i am now overwhelmed by which secondhand Thinkpad to buy. Here in Germany they offer a wide range of refurbished Thinkpad in ebay. Could anyone please give me a recommendation of which model to buy to put Ubuntu on? I have a MBP running Chinese Deepin 15.2 and it's amazing and fast. If you ever going to go for Linux go for ArchLinux, ROSA Freeze Desktop or Deepin you will not regretted. I've not tried Deepin. What's so good about it? I've used Dell, IBM, ASUS, Compaq, Acer and more brands and I've had the best luck with IBM and now Lenovo computers. The Thinkpad series is excellent. Enterprise level computers usually let you replace their CD/DVD drive with a second hard drive. I have a SSD in my main drive area and a mechanical drive in the second drive. Great buys include the T510 which can be found for around $100.00 and 4gb ram. A SSD is around $75.00 and the second drive bay $10.00. Look for a i5 or i7 machine. I like Linux Lite but Lubuntu is great and so is Arch, Fedora, Debian and the list goes on. Everything just works. Windows can run as a dual boot with Linux. Keep in mind that Windows 10 while free now won't be in a few months. Linux will always be FREE. No long as* updates like Windows. Downsides include less games and sometimes printers are a problem. If you have a machine with 2gb or less ram look at Lubuntu or Puppy or Bodhi Linux. I am in need of a viable laptop to use for backtesting algorithmic trading systems with big data. The systems are multi-threaded and I'm looking for decrease running time. What my developers have told me, who aren't necessarily IT/computer specialists is that the main focus in number of cores and decent RAM. In terms of the installation process - I will have them do this so the main factor for my requirement is ultimately speed for running my programs. Currently I'm looking at solutions on Amazon etc. for their supercomputing options which become quite expensive over time. I'm wondering what under $1500.00 will get me. Thanks for any advice. Hey, you can have a laptop that isn't that crazy, run linux, and have your own server that will run your computations. For a cheaper option than amazon, I recommend Digital Ocean. You set up your own server, choose how many cores you have, and you have root access. They even have a lot of very helpful guides to get you started(when I tried Amazon AWS it seemed like it had a lot of red tape by comparison). You can set this up tonight and test it out. If you compiled a single threaded app, with multithreaded libs, you might find the SAME app takes 100 times longer to start up, and runs 10 percent slower. This is because multithreaded is more complicated. Multithreading adds an interesting hardware "dependency'. So, on some hardware, the same code, will run slower, then single threaded, while on more expensive hardware, it can run faster. I'm a big fan on "multiprocess", not multithreaded, which adds complexity and a tax. (I programmed multithreaded, massive systems for 7 years). The interesting snaphu in any multirthreaded process is "state". Everything needs to save state. Thus, if you can be hitting the SAME hardware with every thread (saving to a "hard drive"). So, avoiding the complexity, and finding a single threaded multiprocess solution, might actually run faster. I have an interesting multithreaded story, where the architect thought the code should run faster multithreaded, but we were writing to the same file in every thread, so, multithreaded ran 10% slower. How does multithreaded code run faster?, This is why these programmers are paid more. You have to think in threads, and divide the task to take advantage of threads, but also throttle the app to N threats. Locking is expensive, and sometimes can be avoided. C++ io, certainly needs to be avoided in multithreaded threads (they run 10 percent slower then C io, because they invoke locale). Polling is where found work is assigned to an existing thread, or a new thread is launched. Do not forget to yield after finding new work, so, threads can "start" working. The HP Pavillion G6 with Intel hardware runs Linux beautifully. I have been using various forms of Linux on mine since 2012 and it runs like a champ. Mine came with 4gb of ram and I added 4 more, I edit camera RAW images and 1080p video on it with ease. I can't believe how hard it is. The opening line is just the truth. Look. I'm a Founder, CTO and hard-core programmer. I just want a top quality laptop. It seems that Microsoft has gone and ruined every avenue I used to have. They can take my money, I don't even care at the cost of the machine. Ubuntu, other than the lack of support, makes Windows and Apple look like bloat-ware...cause they are. Fedora, CentOS, Arch, etc. all miles better as well. Yes, I like the developer friendliness of Linux but I would use it regardless. Hell, my daughter, being 6 does well to observe the ridiculous bloat and design flaws of MacOs and Windows any opportunity there is. But I can't remember a time, where I couldn't even buy a laptop. Ironically, it's when price is of no concern. Lenovo? Still some the best hardware. The company however, has alienated and violated the super users so much that I don't even know if I want to be seen in certain circles with one. Let's also note that they have agreed (and I'm sure well compensated for) to refuse any Linux support. Lenovo has taken the Thinkpad, the best Linux laptop of all time, and violated nearly all of it's purity. Dell? XPS 13 Developer Edition I am NOT ALLOWED to buy in Canada. They stopped the Canada stream a few months back (just when the newest version looks to fit my standard). I mean, Dell, the only supplier for their own products simply sell this across U.S. and say no to Canada. Ok. They recommend the Precision lineup - the only Linux loaded lineup - which is a completely different product. I don't want a 15.3" laptop. HP? Hardware compatibility nightmare. I have a tough time accepting suspend not working properly, HP (used to be great) come with hardware drama. It's laughable that Windows is such garbage, to even the average consumer, and yet this world allows the Monopoly that is happening. I have an Old Laptop that has a single core celeron c900 and 2gb ram 800mhz ddr3 and a 250gb samsung hdd with 8mb cache, is it worth putting linux mint on it? and how will it run? For a machine like that, I would highly recommend Linux Lite. Hah, sure, why not? Did you try Linux Lite? I'm new to Linux, but I've learned how to change the icon labels to transparent, set the background to a single colour, renamed the Menu button to Start (and even changed the icon too), and changed the Menu list to look like Windows 98. Linux Lite seems to "play nice" with Wine and "Play on Linux". I have installed a few linux distros on older laptops (Dell, Toshiba, HP) lucky all worked fine. My latest install was lubuntu 15.10 on a packerdbell dot/s netbook with 2Gig of Ram and a Kingston SSD harddrive. Really impressive little machine it turns out to be. hi! Nice post thank you! I want to dual boot a laptop as a desktop replacer (weight and battery doenst matter but I need something portable). I want windows for unity development and gaming and Ubuntu for web development and day to day use which typically involves multi-thread number crunching. So... What might you recommend? Ah yes, beautiful and I daresay perfect. And they sell it in Canada as a "NP8657-S - Clevo P650RE3". But let's go one step further. Can the System76 Oryx Pro be used for light virtual reality development (occulus rift + leap motion via unity)? I'll likely have to dual boot Windows 10 which is fine, but will the laptop specs meet the requirements to even run? I'm currently sat reading this on a Toshiba Portege R830 running Ubuntu Mate 15.04 (my first Linux install) that I picked up for 160 quid on ebay. I've got to say that I'm impressed. It's an old bit of kit... but it's svelte and the install process was slick (15.10 wasn't playing nicely). Weird, how people hated on Apple because they weren't popular and now they hate on Apple because they are. Just interesting from someone that has used computers of both sides of the supposed OS "brand fence" for over twenty five years. photo software programs at the same time, so I get needing multiple processors and decent ram and quality graphics. I have used Apple products for years and now I'm sadly at the point of trying to find something that will use Linux for newer non-Adobe software that I can actually upgrade myself. I am so disappointed that Apple has taken away the ability to upgrade a computer that a person buys and given them basically a sealed box be it laptop or desktop where you have to pay up the wazoo to the maker for decent ram, hard drive and other miscellaneous hardware. Hence my search for a high quality upgradeable travel laptop that will run Linux for some of the more decent image processing software. And yes, I'm writing this now on my mid 2010 white unibody Macbook that I not only work on, but do take to Starbucks to get away from my home office. So, Riccardo, don't know what you have against Apple existing in a decent human society. I've just been trying to purchase a new laptop to run Linux. I have purchased and returned three of them. All because of wi-fi drivers. I spent 8 hours trying to get the last one with skylake chipset working (everything else was great, but a laptop with no wi-fi these days isn't usable). That latest laptop had a FHD screen, and skylake chipset which I believe includes the wi-fi on board so don't they all just have the same wi-fi chip? You would think the ubuntu developers would really focus on getting the whole of the chipsets working haswell, braswell, you name it. I dunno. Whatever. All I know is that if you don't have wi-fi you really have no way to download drivers to get said wi-fi working....if you have wi-fi and something else is wrong you at least have a chance to go download the drivers. Oh well....perhaps I'll just check out an old used mac or chromebook. Unless windows has really gotten good (which I doubt) I just can't even stand it. I am a long time Apple user and developer looking to switch to Ubuntu as my primary OS. I just spent days trying to get my MacBookPro with Retina display working reasonably... Unfortunately Ubuntu doesn't play nice with High DPI screens and I am unable to get Ubuntu to run with a sensible resolution. I can scale using the default Nouveau graphics drivers but unfortunately Java apps don't care about this system value and still display using the native 2880x1800 resolution and I can't read a thing. Using Nouveau switching the native resolution to anything else than native switches to a black screen and I must then force restart the computer. Switching to Nvidia drivers almost solves the issue. I can switch resolution but after restarting it reverts to the native resolution, and if I persist scaled down resolution the actual output frame and panning frames are larger than the target resolution. There doesn't seem to be a solution :( Basically, new Mac hardware with HiDPI screens won't play nice with Ubuntu. I am searching for alternatives and will likely pick up some old hardware to satisfy my needs until the Nouveau drivers can support this Retina screen. I'm currently buying a new laptop to run Linux. Boy, has it been tough getting what I want too. As a computational chemist, I want heavy duty Nvidia graphics and CUDA support. I want 32 GB of RAM. I want 8 cores. I want a nice screen. I want 3D capability, I want, I want... ;) Well, it is tough to find, but I've locked into Eurocom and found that they have good advice on their different models. The Extreme X8 is what I'm configuring. My apps can do quad buffered OpenGL 3D and so I'm willing to pop for the 120Hz screen with builtin IR emitter. Everything else is straight forward. I tried initially the M5 Pro, but found the Optimus graphics was crashing the kernel due to BIOS issues. It was returned and discussions with sales revealed a discrete GPU system was the solution. The X8 is 2lbs heavier than my 2008 vintage Dell XPS M1530 that I have loved for years, but I'm willing to pack the weight for all the power. I am not a battery user, I only plug in to AC power, mainly because of what I use the computer for. It always computing and running the fan at full power so it the laptop won't melt! Look at Eurocom (but discuss your needs with them), System 76, Emperor Linux, Dell, and other Linux laptop vendors before giving up and buying a windows machine. It's worth it! China is now a huge market for native Linux machines, so we will only get more choice as the consumer base grows. Oh yeah. That's going to be hard to find. Perhaps you might be best building that computer, and shoving it in a co-location center. Then get a cheap laptop (like a HP Stream) and SSH/VNC in. Check out Entroware, btw. I know a lot of people who rave on their stuff. I've gotten tired of pushing files to where resources are, but I understand what your saying. The last couple of years, the Dell XPS M1530 (shipped with Ubuntu 8.04 in 2008 and running Linux Mint 17.2 now) has been used like that. I would just push files to work, then ssh into the server I needed to run jobs. I like the idea of having the resources close and the only real sacrifices are the cost and the weight. I'm one of those laptop users that never uses the battery, except like a UPS, so my use case fits the more powerful "desktop replacement" type of laptop. Initially, I thought long and hard about a more portable solution, but I wanted the 32GB of RAM so I could look at and analyze large molecular dynamics trajectories. Check out VMD at http://www.ks.uiuc.edu/Research/vmd and you will see the use case for a lot of RAM. Entroware looked nice, but the laptops are all similar to other vendors. They max out at 16GB RAM and you can't find a nvidia Quadro high end card in the mix. Thanks for your thought though! Take a look at system76: https://system76.com/. I'm sure they can stick that into a laptop for you. If popularity (the look at a coffee shop test) is the true and only test of quality, then recent popular hits far exceed the quality of masterful works by Beethoven, Mozart, etc. It's great that something is popular; but, if you expand your criteria to include benchmark scores storage capacity, and price, you might find that many non-popular items equal or exceed the popular item. This is due to people simplifying things. In the case of Apple, they simplify the process of analyzing how one product stacks up against another, by deciding that it is easier to compare and contrast within Apple's product line than across product lines. PS: Apple shouldn't even be take into account, not considered at all by a decent human society (what we apparently are not). Love this article .. I'm going thru the frustrating experience of finding a recently manufactured and supported Linux machine. With everything working out-of-the-box, including Wi-Fi. It's hard to find what you need to find, in a "nice books with pictures" kind of way. I'll elaborate on this later. It's obvious that, while distro's like Ubuntu created a milestone in popularising Linux, Linux has hit a ceiling in that Linux "vendors" can't identify who their consumer-market customers will be (if at all looking for those kind of customers), or understand their mindsets and needs. At least not in the way Google has done for Android or Microsoft for PC's. It's easy with Windows. Crucially for Microsoft they do their marketing research well - go into any PC store or online retailer and see the lengths they (MS and the retailer) go to, to get you focused on what you looking for. It happens within seconds, it's very subliminal. You have a limited budget? Your eyes see that 2gig Celeron with Win8/Bing. Mid-range? there's the i5 with 8gig RAM, with the 5th gen cpu too. Always with a Win8 start screen, so you can't check specs in depth without the admin password - the store assistant probably can't help you there, so you look at the next machine. In any case, the Windows machines are configured out-of-the-box ready to go. Should you have a driver problem it doesn't take long to fix. Now look at the link for Ubuntu certified hardware (desktops) as it is today. This is where a mildly Linux-centric consumer will end up coming to. Not the kind of confused customer who returns a machine to the store after discovering it's not Windows on it. It's not an effective portal like an Amazon, Newegg or a BestBuy. So, that's the trouble with the Linux world. Understands code but not the mass consumer. "Apple’s hardware is – yes, I know how controversial this statement is – simply better"
"Don’t believe me? Just go sit in a metropolitan coffee shop for a while"
Oh My God! Who are you, and how did you ever manage to write so much false drivel. Just because YOU sit in cafes with a your oh-so-cool made by chinese slave labour in sweat shops, doesnt mean ANYONE else would agree. Were you paid by Apple for this nonsence? Or do you really believe your narrow experience and lack of knowledge really is for sharing? Lets go to the smokers pub down hackney way. You'll notice the most popular brand of fags are Silk Cut. Does this this make it the better tobacco? Is it more durable? does it have the most nictoine? Who cares - smoking is bad for you. Most people dont smoke. MacBooks in cafes is a VERY small percentage of laptop users! Apple is bad for society. It makes ignorant weak minded people think they are part of the righteous, when in fact they are supporting society destroying, out of control capitalists, take all our money and shoe horn us into a dystopian bigbrother future. What kind of cruelty free hardware from which company do you use? I have a 2 GB RAM Chromebook, http://amzn.to/1fJnG7M, with Crouton and Debian 8 Xfce. It is a great tool and plenty fast. I purchased it open box for $165. Throw a $25, 64 GB SD card in and you can have room for all of your files other than media. It is stable and works great. I wish people knew that there was really no need to spend $1200 on a laptop unless you're a gamer or graphic designer/video editor. The Chromebook though is my computer for on the go. I still like having a desktop at home and at work. Both of course run Linux. I have used Ubuntu solely for the past 8 years or so and still run a Dell 1525 Inspiron, Dell 1545 Inspiron with Ubuntu on. (These are my childrens' hand-me-downs - they're in their 20's and 30's now). Additionally I also have a HP 14 Chromebook running Ubuntu 14:04 alongside ChromeOS via crouton. If I'm honest the chromebook does almost everything I need now, Ubuntu I use for KmyMoney and Python. I have installed Ubuntu Gnome 15.04 on my new HP ProBook 450 G2, it runs very good. I had no problems with it till now. Previously I had an ASUS K56C, but had a lot of problems running Ubuntu on it. I installed Ubuntu 14.04 on my ASUS A46C series laptop, and so far the only piece of hardware that I had trouble with was the NVIDIA GPU, thanks to the blasted Optimus hybrid graphics technology. The hardware key to turn off the WiFi didn't work either, probably because all it did was toggle Airplane Mode in Windows 8/10. Everything else went smoothly. I have put Linux on Dell D410s -Puppy Linux - and on an MSI Wind U100 Netbook on which I loaded LXDE Ubuntu. Both had been XP machines, and while the Wind would run Win 7 ok, the 410s are too old to run it well. it seems. It is a good way to safely reincarnate old hardware. HP used to carry all the drivers you needed to run Ubuntu but, now they have focused their Linux work towards servers. System 76 is very pricey but have a selection. The nice thing about Linux is that every Linux user is eager to help you out. I installed Ubuntu on an old Acer laptop that came with Vista. I had very few problems but wanted to get things like the factory Bluetooth to work, the drivers did not exist. I found a lot of help on forums and someone sent me a link to the drivers and had me up and going in minutes. I used that laptop for far longer than any other $200 Acer I have ever seen until it got a power surge during a lightening storm. My laptop of choice would be a 13.3 inch HP with an integrated Intel video card. For the moment, I would try to avoid NVidia/AMD hybrids and stick with HD, as Intel has great video support, even on BSDs. I've been using Linux on a variety of computers for the last 15 years or so. But in my situation, Linux and portability was always a matter of compromise. I would either get a more powerful , but heavy laptop, or a netbook, which is light, but less powerful. With the latest Chromebook I received I have the best of both worlds. It is rather cheap (not the cheapest one), but it can also run Linux (Ubuntu 15.04), without too much hacking. So I have a hromebook for my usual net wurfing, email, etc, but I can also have a full Linux computer that can do everything I could do with a netbook or my ageing laptop (2006). And it is light. With the Chromebooks based on Linux after all, implementing a full Linux is much easier than you would think. FYI: I use a Acer Chromebook C720P, for which there were instructions on how to setup Ubuntu 15.04 on it. I just changed the setup so that it does not replace my internal storage, but rther install itself on a 64G USB3.0 storage key. "Apple’s hardware is – yes, I know how controversial this statement is – simply better. It looks better. It’s built better. Their computers can withstand more of a beating, and last longer than their PC equivalents." I am sorry to say that this is an illusion of Macs. I like Macs, they look beauiful, the operating system is now beautiful and smooth too, but this statement simply isn't true. More recently, Statistics Brain found that Apple again ranked 4th in fewest warranty claims.